Sorry about the wait. 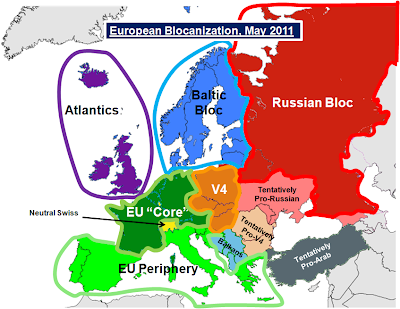 Today we conclude our 5-part series on the Blocanization of Europe with our final installment: Baltic Solidarity to an Emerging Russia. The Baltics have worried about Russia for a long time, likely surprising nobody. When Russia looks west, it sees both vulnerability and opportunity. Its vulnerability comes from open plains stretching from Moscow all the way to the Alps, giving potential invaders an easy route in (which we've seen taken advantage of many times), as well as St. Petersburg being potentially bottled up by European maritime powers in the Baltic sea. Russia thus seeks to create buffer space and exert influence over its western neighbors in order to protect its land and sea periphery. The opportunities are in natural resources (Finnish timber, Norwegian oil, etc). Russia has made moves to squeeze control of these resources or the processing of them out of the Nordic holders. So Russia has thus spent most of the 20th and 21st centuries attempting to exert control over these areas to in order to protect itself and realize financial opportunities. So the Baltics have been traditionally fearful. Much like the V4, their faith in NATO has started to erode. Estonia has been the constant victim of political manipulation and cyber-attacks for a decade; Finland has been pressed by tariffs. So the rest of the story is short. The Baltic countries are looking to each other for solidarity, especially military. Sweden and Norway sport surprisingly powerful military forces that will make any incursions by Russia a much more painful contest than the invasion of Georgia. In particular, Sweden and Poland are discussing potential alliance-making; nothing as strong as the V4 itself or the Baltic's grouping, but something that could potentially functionally replace NATO altogether. As Gaddafi's regime ends (as now it is a mop-up exercise), "the world" must begin thinking hard about how to help Libya transition over to a functional, democratic government--and what the effect on the region will be. -The rebels are deeply divided about the direction they want to take post-Gaddafi. 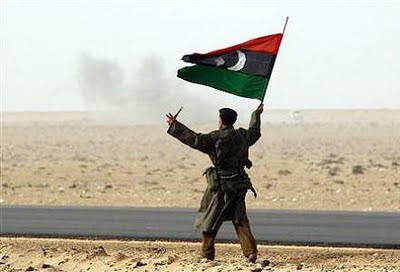 -Gaddafi still has supporters in Sirte and other parts of Western Libya that will fear reprisals and marginalization. The rebels will struggle to bring them into the regime. -It's unclear how much of the civil service infrastructure will be left; that is, will the civil servants that made the cogs turn pre-war keep working? -Marginalizing the "old guard." They must have a reasonable place in the new regime, or they'll resist it. -Don't declare victory too soon. -Take a more hands-off approach: the National Transitional Council (NTC) will lose credibility if it looks like a puppet. We'll see what the West can do. Luckily, the folks in Benghazi currently love the US to bits, so Obama has an opportunity to lead this transition well, and win back some legitimacy for the United States as a world leader. I know I owe everybody an update that discusses the Baltics--I promise, it's actually more interesting than you probably think it is. It's worth a quick Libya update. For those of you rooting for the Rebels, they seem to have finally broken the stalemate. Trained reinforcements from Benghazi and increased coordination with NATO are part of how the rebel forces have broken out from the safety of the mountain ranged and dared, successfully, the open desert. The presses from the east, while unsuccessful so far, have also taxed Gaddafi's forces and allowed the western front to be relieved, at least to some extent. They are stretched thin, attacking multiple cities at once. But in doing so, they take advantage of the full force of NATO behind them, which is now hitting most of Gaddafi's troops in the west at once (see Wikipedia image below). If the rebels manage to take and hold Gharyan and (most importantly) Al Zawiya, they will have successfully cut off Tripoli from any incoming supplies, including electricity, food, weapons, money. Many of Gaddafi's troops are mercenaries, and are likely to quit if the supplies and money run out. Gaddaffi's loyalists will certainly launch a powerful, Alamo-style counter-attack, but can be hit by NATO airstrikes on the way out of Tripoli. But if the counter-attack is unsuccessful, the war will, for the most part, be over. Gaddafi lacks the command & control to coordinate effective offensives, and cannot make the long pushes that the rebels are making. He has been unable to exhaust NATO's patience (which is turning to excitement as the rebels advance), which was the only strategy he had to ultimately win back the entire country. In the next few days, we'll see if we've entered the end game in the Libyan situation or not.